GUTTED. The news came out of nowhere and... I didn't even know how to react. What worries me is the "upcomming weeks" . Does it mean that they are waiting for a liver for him? horrible news to come home to, i wish everything turns out well for him and his family. Terrible news. I'm praying for him, his wife, and his daughters. He will come back even stronger. Tots units fem forca! We're with you, Abi! This news was so shocking and out of nowhere. 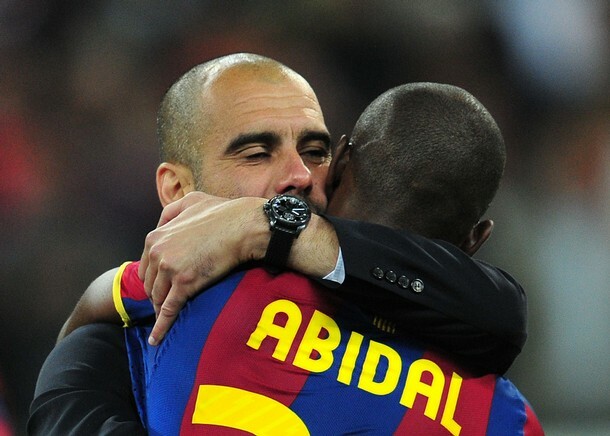 I wish King Abi the best in his recovery. To think we were all waiting around for an announcement on Pep's renewal this morning and we got this news instead. Kinda puts things in perspective. Also, the fact that the club renewed Abi's contract knowing this was a possibility...I just can't. Mes que un club indeed. There will be lots of tweets this week wishing King Eric well. The world is with him :(.